Each Sunday we offer something for kids. The first Sunday of each month is Eden Church - our crazy, energised all-age service featuring free activities in Eden Softplay. On other Sundays we offer "Splash" - our Kids Church programme led by trained adults. Splash features age-relevant activities and Bible lessons. At Sunday45, families will start out in the service together. After singing some worship songs, the kids will go out to Splash for about 30 minutes. Parents are welcome to keep their children with them in the service. Or if you want to join your child for Splash to check it out, please let us know. Please note that children must be potty trained in order to attend Splash. This takes place in Saint Saviour's Halls. Please bring a consent form with you (or fill one out when you arrive). 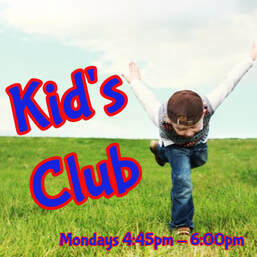 Please note that Kids Club is limited to the first 20 participants each week - first come, first served. Year 6 students can choose either Kids Club or Youth Club, but not both.